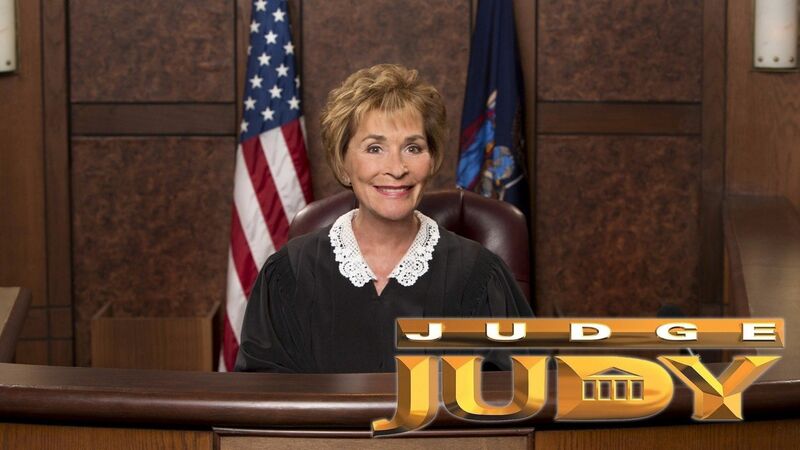 Here's where to watch every episode of Judge Judy season 19. Mouseover or tap an episode to see where to stream it. Click or tap the play icon to stream it on the best available service. Parking Rage! ; Best Friend Bailout Sep 8, 2014 A defendant denies revenge-keying a woman's car; an ex-best friend demands bail money payback. Fight Over a Funeral; Attorney Extortion? Sep 8, 2014 A dispute over funeral expenses leads to accusations of domestic violence; a bitter custody battle involves accusations of harassment and extortion. Child's Dog-Bite Marks Disputed; Show Me the Money! Sep 9, 2014 A dog's owners deny responsibility even after viewing bite marks on a child; a defendant blames his bank after a large car-payment goes missing. Drunken Stupor Nightmare! ; Dirt Bike Bonfire Sep 9, 2014 A man says he awoke from a drunken stupor to find police investigating a trail of blood from his apartment to his drinking buddy; a man sues his former friend over damage to a dirt bike. Salvaged SUV Scam? ; Dog Walking Attack! Sep 10, 2014 A woman regrets giving a complete stranger an SUV and signing over the title without receiving any money; dog owners fight over responsibility after a large, leashed boxer attacks a little Maltese. Vandalism Caught on Tape! ; Two Moms Sue One Child Sep 10, 2014 Video evidence shows an angry man kicking his neighbor's vegetables and memorial to a cat; a young man denies owing his two mothers for a loan, rent and property damage. Eyewitness Perjury?! ; Twice-Kidnapped Puppy Sep 11, 2014 An unreliable witness weakens a man's claim that his parked car was hit; a woman admits to stealing her friend's puppy once, but not twice. Hidden Camera Catches a Thief? ; Unwed Parents Parking Ticket Plight Sep 11, 2014 A landlord accuses a former tenant of stealing personal information; a woman blames her child's father for unpaid parking tickets. Dad Calls Police on Daughter; Voicemail Vengeance Sep 12, 2014 A woman takes her father's truck with her when she moves out; incriminating and graphic voicemail messages are presented as evidence in a dispute between a man and his ex-wife's new lover. Incriminating Facebook Photos; Scissors vs. Shoes! Sep 12, 2014 A man posts photos of his ex-lover's apartment on the Internet; a teen sues her sister for destroying several pairs of her shoes. Stabbed in the Face! Sep 15, 2014 Children's father is attacked by angry pedestrians on "picnic day." Soldier Accused of Credit-Card Theft; Super Lovebug Lawsuit Sep 15, 2014 A woman says her daughter's ex-boyfriend stole her credit card; ex-lovers contest custody of a 1972 Volkswagen Super Beetle. Child and Car Custody Battle; Older Cabbie's Young Roomie Sep 16, 2014 A woman sues her grandchild's mother for the balance on a car loan; a cabdriver opens his apartment to a young woman, then sues for unpaid rent. Mama Drama! ; The Mentor and the Squatter? Sep 16, 2014 A woman sues teens over a broken lease and stolen property; a young man rents a room in another man's home, then denies owing for rent, gas money and an auto insurance policy. Transient Parenting? ; Good Deed Gone Wrong Sep 17, 2014 A homeless father and child, who slept on a stranger's apartment floor, sue for return of their belongings; a woman regrets helping a "friend" get her car out of impound. Blind Curve Catastrophe! ; Trashed Transport? Sep 17, 2014 An uninsured motorist sues the driver who totaled her car; a man says his ex trashed important legal documents. When German Shepherds Attack! ; TV Remote Control Assault? Sep 18, 2014 A woman sues the breeder of her pet German shepherd that became aggressive and bit her child; a girl denies hitting her mom's ex with a TV remote. Daughter-in-Law Dilemma; Worst Job Interview Ever! Sep 18, 2014 A woman says her grandchildren's parents refuse her visitation; a driver is accused of crashing into the car of the man who interviewed her for a job moments earlier. The Anguish of Ex-Lovers; World Cup Woes Sep 19, 2014 A two-week coma and accusations of abuse come into play when unwed parents feud; when a woman backs out of attending the World Cup, she wants a return of her deposit on a condo in Brazil. Friendship, Finances and Flirting; Designer Jeans Disaster! Sep 19, 2014 Accusations of inappropriate flirting surface when a man demands payback for a loan; Judge Judy demonstrates how to measure clothing. Crowbar-Wielding Mother! ; Failed Friendship Sep 22, 2014 A woman grabs a crowbar in a skirmish with her ex over their child's book bag; when a boyfriend enters the picture, friends' plan to live together falls apart. Police Officer Assaulted by Landlady?! ; College Football Scholarship Hiccup Sep 23, 2014 A woman is accused of trying to rip off a cop's badge while impeding arrest; parents and a teen fight over paying off restitution the boy owed from a crime. Father and Daughter Gang Up on Ex! ; Boy Traumatized After Dog Attack Sep 24, 2014 A young woman and her father sue her ex-boyfriend for car repair and towing fees; a child has nightmares and PTSD after being mauled by a neighbor's dog. Bare Bones Apartment Dispute; Vintage Clock Breakdown Sep 24, 2014 Tenants sue their landlord for not fixing up their apartment as promised; a woman sues her ex for packing her vintage clock incorrectly, causing it to break. Grand Theft Drama; Premature Lock-Out? Sep 26, 2014 An ex-girlfriend accuses a man convicted of grand theft of stealing her belongings too; a former tenant sues a landlord for the return of her security deposit and belongings. Three's a Crowd; Moving Out Madness Sep 29, 2014 A teen and his girlfriend claim their ex-roommate owes them money; moving costs are disputed. Uninsured Motorcycle Crash! ; Crash After Bible Study! Sep 30, 2014 An accident involving an uninsured motorcyclist leads to a dispute; a car accident after a Bible-study class. Neighborly Plant Destruction? ; Facebook Furniture? ; Follow the Money! Oct 1, 2014 A woman claims her plants were purposefully destroyed by her neighbor; a woman says a relative tried to sell her furniture; unwed parents argue over stolen property and a camper. Pesticide Assault? ; German Shepherd Scare! Oct 2, 2014 A heated confrontation leads to an assault accusation; a dispute regarding an off-leash German shepherd. Furniture Feud! ; Deportation and Disability Oct 3, 2014 A mother sues her former landlord for rent, furniture, harassment and false charges; a woman tries to recover the settlement her husband was supposed to receive before he was deported. Doused With Gasoline! ; Pit Bull vs. Bijon Oct 6, 2014 A man admits he poured gasoline all over his ex-lover's property; after an unleashed pit bull viciously attacks a much smaller dog, the animals' owners fight over damages and responsibility. Lose the Puppy! ; Boxer on Steroids? Oct 7, 2014 Landlord and tenants battle over a puppy, a brawl and accusations of theft; a boxer sues his promoter for defamation of character. The New Wife; Debit Card Downer Oct 8, 2014 A woman sues her ex for a false restraining order and overdrawing her son's bank account; divorced parents fight over allegations of misusing a healthcare debit card. Legal Battle; Car Crash Into a Cemetery! Oct 9, 2014 A client sues his former attorney for the return of his retainer fee; drivers feud over who is to blame after a car full of teenagers goes airborne and slams into a tombstone. Rescue Pit Bull Euthanized; Bikini Swap Oct 10, 2014 A pit bull's owner blames the victim of its attack; teens trade accusations of lying and criminal trespassing. Drug Addict Destruction? ; Restraining Order Damages; Freeway Crash Oct 13, 2014 Former friends feud over rent and property; a woman sues her child's father over a false restraining order, while he says she destroyed their home; a motorist admits he lost control of his vehicle. Pawned Family Jewelry; Hurricane Season Dog Fight; Motorcycle Mayhem Oct 14, 2014 A cop says his struggling stepdaughter stole belongings from his home; a woman says a neighbor's frightened dog damaged her doors while trying to get inside during a storm; a heated argument while riding a motorcycle leads to a crash and injuries. Fish Tank Destruction! Oct 15, 2014 A man is accused of causing damages during a drunken rage and admits he flushed his son's pet fish down the toilet. Teenage Phone Vandal? ; 8-Year-Old Takes the Stand! Oct 16, 2014 A 13-year-old denies breaking an ex-friend's phone but confesses to spitting on it; a child accused of accidental vandalism changes his story. House War; Thief and a Hustler? Oct 17, 2014 A former tenant submits questionable evidence of mold growing in her rental unit; a man says he repossessed a car because it did not have full coverage insurance. Childcare Trade Gone Wrong? ; Ripped-Off While in Jail? ; Son-in-Law Payback? Oct 20, 2014 Ex-roommates fight over their living situation; a man sues his ex for selling his RV and boat while he was in jail; a former father-in-law demands repayment for a loan. Brother/Sister Lease War! ; BFs Not Forever; Deceased Father's Harley Oct 21, 2014 Siblings fight over a room one rented to the other; teens call it quits after five days of living together; family members feud over their late father's motorcycle. Eco Friendly Backfire! ; Betrayal of Trust! Oct 22, 2014 A friendship ends over a refrigerator; a man says he caught a former friend stealing his expensive watch. Divorce Slap in the Face! ; Wrong Side of the Law? Oct 23, 2014 A gift vs. a loan; a lawsuit against a roommate found with an online advertisement. Good Deed Punished! ; Pricey Patch-Up Job! Oct 24, 2014 A good Samaritan who gave two teens a home is accused of kicking one of them out as she went into labor; the judge shares her old technique of patching a dorm-room wall. Bicyclist Lands on Head! ; Chicken Coop Massacre! ; Kicked Out Before Moving In? Oct 27, 2014 A cyclist and an uninsured motorist fight over $30,000 in medical bills; two Siberian huskies are accused of killing 75 chickens; a woman sues her former landlord for money she put down on a room. Gas Leak Scare! ; Vandalism Caught on Tape! Oct 28, 2014 A tenant sues landlords for damages after being forced to leave her home because of repeated gas leaks; former friends clash over vandalism and stun-gun use. Speeding Motorcyclist Crash! ; Incriminating Photos Oct 29, 2014 Despite speeding, a motorcyclist blames another driver for a fender-bender; ex-tenants deny trashing their old apartment. Assault or Self-Inflicted Injuries? Oct 30, 2014 A woman says her boyfriend attacked her and she ran, naked, from her home to escape. Never Read Your Boyfriend's Texts! ; Bitter Roommate Battle! Oct 30, 2014 A man's vehicle is vandalized after his child's mother reads his text messages; former roommates fight over partying, strangers sleeping in a woman's bed, and an incarcerated brother. Wheelchair Runs Over Caregiver? ; Broke Down Dating! Oct 31, 2014 A health-care aid says he was verbally and physically abused by his disabled boss; a man says his ex-girlfriend's father lent him money to date his daughter. Nurse Accused of Abuse; Foster Child at Fault? Oct 31, 2014 A woman says she found a nurse straddling her sick mother, trying to get blood from her neck; a man sues his former foster child for damaging his car. Kicked in the Buttocks! ; Archer Denies Shoot-Up! Nov 3, 2014 A woman sues her husband's former neighbor for having her arrested; a shooter denies sending an arrow through the roof of a woman's car, saying none of his arrows are missing. Pit Bull Stabbed 16 Times?! ; Hit and Run ... Fast! Nov 3, 2014 A woman is accused of stabbing a large dog who she says attacked her beagle; a teen denies totaling a woman's new car. Bang Up Neighbors; Spa Party Hustle? Nov 4, 2014 One neighbor accuses another of backing into her truck; a woman says a salon owner failed to provide services at a spa party. Sick Before the Wedding! ; Three's a Crowd! Nov 4, 2014 Newlyweds say a DJ and a photographer were unprofessional; a man sues his former roommates for their share of damages to their apartment. Sign Language Drama; Mustang Theft? Nov 5, 2014 Grandmothers fight over a deaf father, an assault and the truancy of a third-grader; a woman says her ex-fiance stole her car's paperwork and registered the vehicle in his name. Mother Daughter Drama; Truck Driver Babysitter Blues Nov 5, 2014 Family members fight over brain surgery, the cost of a wedding and false allegations to child protective services; a teen sues her boyfriend for unpaid baby-sitting fees for his three children. Father Butts Into Daughter's Divorce! ; Jaguar eBay Purchase Gone Wrong! Nov 6, 2014 A young man says his ex-father-in-law harassed him at his workplace; a man discovers that a car he bought on eBay is a lemon. Unleashed Dog Mayhem! Nov 6, 2014 Neighbors say unleashed dogs' fight ended in more than $6,000 in veterinary bills. Rescue Dog Attack! ; Lovers Playing House Nov 7, 2014 A 10-year-old admits she lost control of her 80-pound dog, leading to an attack on a smaller dog; a woman says her ex choked her during a fight. Reckless Teen Driver Whodunit! ; 6-Year-Old Takes the Stand! Nov 7, 2014 Former friends argue over who crashed a car into a pole; a child is accused of scratching a neighbor's car with his bicycle. Love Triangle Assault! ; Can't Buy Me Love! Nov 10, 2014 A woman is accused of beating up her husband's girlfriend; a man claims his ex chose love over money. Caught Cheating? ; Landlord 101! Nov 10, 2014 A former couple fight over custody of a car; a landlady tries to add content to a pre-existing lease. Potbellied Pig Custody Battle; Cat Sitting Catastrophe Nov 11, 2014 A breeder says a man refuses to return a potbellied pig; a woman says her teenage cat-sitter made a huge mess and stole her property. Ex-Fiancee Fight! ; Pit Bull Attack to Face! ; Fake Concert Tickets?! Nov 11, 2014 After calling off their wedding, a pair fight over appliances; a neighbor's pit bull mauls a woman trying to protect her small dog; plaintiffs say their friend sold them fake tickets to a music festival. Mud Slinging Break-Up! ; He Said/She Said Assault Charges Nov 12, 2014 Feuding parents divulge unflattering, intimate information about each other; a man accuses his ex of having him falsely arrested for domestic violence. Bleach and Burglary! ; Freeloading Friend Cries Assault! Nov 12, 2014 Nearly everything in a woman's apartment is stolen; a woman sues good Samaritans for assault and the return of property she left behind. Used Car Chaos! ; Mom Goes After Daughter Nov 13, 2014 A woman says a man scammed her on the sale of a used car; a woman sues her daughter for a car's down payment and repairs. Get Me Out of Kansas! ; Pay My Teen Daughter's Pregnancy Bills! ; One Way? No Way! Nov 13, 2014 A single mother says she bore the brunt of living expenses with her roommates; a woman sues her grandchild's father for medical bills resulting from her young daughter's pregnancy; a woman who backed into a car blames the other driver. Punch Drunk Whiskey Party; Outrageous Squatters! Nov 14, 2014 A man says his drunken companion punched him in the face for no reason; squatters sue a home's new owner for disposing of their possessions, including their dog. Man Accidentally Confesses to Cheating! ; Prada Roommate Drama Nov 14, 2014 A man admits he slept with the neighbor suing him for assault; a designer bag, a floor makeover and pain and suffering come into play when a landlady sues her former tenant. Dirty Dirt Bike? ; Band Betrayal; Punch Drunk New Year! Nov 17, 2014 A man says a shop sold him a stolen dirt bike; a videographer seeks payment from a band; a man who totaled his friend's car wants compensation from the person who was supposed to be his designated driver. Full House Fire! ; Motorcycle Crash He Said, She Said! Nov 17, 2014 A young man sues his aunt for property damage after a house fire; a man and his friend dispute who was driving his motorcycle when it crashed. Bites, Barks and Bruises! ; Breast Pump Custody Battle! Nov 18, 2014 A woman says a pit bull attacked her and her dog; a mother and a grandmother feud over a breast pump. No Pets Allowed! ; Principles Don't Pay! Nov 18, 2014 A landlady says an ex-tenant's nine dogs left her home in a disastrous state; a former couple fight over money owed on a car. Take a Plea, Tell a Lie! ; Online Jewelry Slam! Nov 19, 2014 Ex-lovers' stories fall apart when lies and plea deals related to an assault come into play; a jewelry designer sues a woman who wrote a negative review online. Work Ethic Called Into Question! ; Judge Judy's Birthday! Nov 19, 2014 An ex-friend says a mother supporting four children made her look bad at work; a woman sues a former friend for rent and unauthorized credit-card charges. Staged for Disaster! ; Funeral Road Trip Ruined Nov 20, 2014 A tenant moves in a messy stranger and a cat just as the landlady stages the home for sale; a road trip falls apart when the purchase of a classic car goes wrong. Call the Fashion Police! ; Thrown Out Back, Thrown Out Possessions? Nov 20, 2014 A fashion designer is robbed after a night of partying at a karaoke bar; an injured man, unable to move out on time, says his belongings were stolen. Shih Tzu Shuttling! ; Pit Bull Collateral Damage! Nov 21, 2014 A woman is accused of refusing to return a dog to its rightful owner; neighbors fight over liability after a pit bull charges a woman and her daughter, forcing her to jump onto a car and damage it. Deceased Fiance, Family Fight! Nov 21, 2014 A woman sues her late fiance's siblings, accusing them of assault and slander. Sisters' Pepper Spray Fight! Nov 24, 2014 A woman is accused of rubbing pepper spray in her twin's face and threatening her with a butcher knife. Kitten Custody Dispute! ; Queen Esther Window Buster?! Nov 24, 2014 A couple finds and cares for a cat, then sues the owner for veterinary costs; a teen sues her brother's ex for breaking out the windows of her cars. Tree Hugger Skirmish! ; Pit Bull Bully? Nov 25, 2014 A woman is thrown out of court; a pit bull attacks a dog and its owner. Public Humiliation at the Racetrack? ; Truck Trap! Nov 25, 2014 A man sues a teen for running over his duffel bag, and the boy countersues, saying he was publicly humiliated; a woman says a former friend conned her into letting him fix her car and sues him for towing fees and parts. Repo Man Runaround? ; Burglary and a False Arrest? Nov 26, 2014 A man says a former friend was pulled over 26 times and failed to register the car he sold to him; ex-lovers' feud involves the return of property, a restraining order and false arrest. Abandoned or Stolen Property? ; Delinquent Roommate? Nov 26, 2014 A teen houseguest sues a woman for disposing of his belongings, which she says he abandoned; former roommates sue for unpaid rent and bills and damaged and stolen property. Low Income or No Income? ; Tenant in the Hot Seat! Dec 1, 2014 A baby sitter says her boss's inability to qualify for an aid program leaves her with no place to go for payment; tenants say the daily temperature of their home was more than 105 degrees. Judge Judy's Lessons in Dentistry! ; Rottweiler Puppies Hit by Car! Dec 2, 2014 A man lets others pay for his emergency root canal then denies he ever asked for help; a woman sues the former friend who left a door open and allowed her dogs to escape from the house and get hit by a car. Who's Scamming Who? ; Illegal Dog Stud? ; Designated Driver Damage! Dec 3, 2014 A landlord accuses a woman of renting an apartment for herself but letting someone else live there; a woman says her former friend put her dog out for stud without her permission and wrecked her home; a designated driver is accused of hitting a curb. PT Cruising for a Bruising! ; When Friends Repossess Your Car! Dec 4, 2014 An employee denies stealing and damaging her boss's car; a former friend repossesses a woman's car when she misses car and insurance payments. Big Dogs and Hot Tubs! ; Only Child vs. Only Dad Dec 5, 2014 A huge dog jumps onto a hot tub, damaging it; a man sues his son and future daughter-in-law for repayment of a loan. World's Worst Romantic Gifts! ; Car Crashing Cousin? ; Sideways Dog Scratcher? Dec 8, 2014 A woman says her ex tried to rekindle their relationship by buying her appliances; a couple refuse to admit who was driving a car when it was totaled; a man says his former employer's dog damaged his car. Pilot Caught Cheating Online?! ; Mobile Home Moxy! Dec 9, 2014 A woman tells of finding a Facebook post that said her airline pilot boyfriend got engaged while working in Africa; a landlord says he had to call the sheriff to help evict his mobile-home tenant. Cougar Landlord? ; Your Junk? My Treasure! Dec 10, 2014 A man says his landlady-to-be hugged and kissed him after their first meeting; a woman says a man defrauded her on the sale of a car. Deceased Dad's Truck Trouble; Firefighter Fun Cruise Dec 11, 2014 A man says his ex-girlfriend's father gave him a truck as a gift; one firefighter denies owing another for his share of a cruise to the Bahamas. Optical Store Flood! ; Mobile Car Washing Dream Dec 12, 2014 Women say their former employer owes them for their efforts to put things back in working order after a flood; a woman demands that her ex repay her for a loan to fix his van. Flight Attendant's Basement Blues; Overly Excited Teen Jumper! Dec 15, 2014 A flight attendant sues her landlord for rent; a teen admits he leapt onto a recliner and broke it. Down and Out Karaoke Singer; Mother Goes After Son's Ex! ; Motorcycle Racer Refund! Dec 16, 2014 Carnival workers sue a woman for rent and living expenses; a teen resists repaying her ex-boyfriend's mom for a car; a construction worker says he was going to pay back a loan for a motorcycle only if he won the race. Family Drama Lockout! ; Divorcee Tax Fraud? A woman sues her brother for locking her out of her home; a woman accuses her ex-husband of fraudulently taking money from a shared Roth IRA. Neighbors Restrained From Each Other! ; High-Priced Georgia Water?! A couple sue their neighbors over three false restraining orders; a $3,500 water bill comes into play when sisters take their grievances to court. Don't Lie to the Judge! ; Hysterically Bad Driver? ; Escorted Out by Police! A man's story changes; a woman says her former friend damaged her car while practicing for a driving exam; a young man resists paying for rent and breach of lease because police escorted him off the property. Disabled Daughter Caring for Mother? ; Sick Cat, Harassment and Threats The judge reads a mother the riot act when a daughter's disability checks, an apartment lease and an unborn child come into play; a teen and her mom say a cat breeder sold them a sick animal. Vindictive Roommate Games; Thriving Hair Salon Runaround! ; Attacked by a Yorkie! A man admits to calling his roommate's probation officer to speed up his eviction; a woman accuses her sister of defrauding her in the sale of a hair salon; a woman says a tiny dog bit her. Complex Mom Management; Son Pays Father's Child Support?! ; Divorcee Grand Theft? A man resists repaying his ex-girlfriend's mother for a loan, rent and a new cell phone; a teen, who received money in an accident settlement, sues his father for repayment of loans; a woman says her ex-husband stole her mother's appliances. Mold and Marijuana: Which Came First?! ; Mercedes Mayhem A landlady accuses tenants of using her house to grow marijuana; a former mistress accuses a man of taking back a car purchased for her. Wedding Limo Scorcher! Saying a limo company left her stranded on her wedding day, a newlywed sues for return of payment and emotional distress. Good Samaritan Twice Bitten! ; Stop Playing With Your Hair! A neighbor injured while breaking up a dog fight winds up getting blamed rather than thanked; the judge chides an irresponsible young woman for ripping off her grandmother and being improperly groomed for court. RV Trip From Hell! ; Get Out ... but Keep Paying My Rent! Mechanical failures plague a 10-day family road trip; an unwed mother sues her ex for two months of mortgage payments after he leaves his own home. Killer Pack of Pit Bulls? ; Basset Hound Rescue Caught on Tape! After pit bulls kill a neighbor's dog, their owners say they are not responsible for yet another attack and sue for pain and suffering; the judge personally intervenes to find a loving home for a dog whose owners kept it in a kennel for five months. Cry for Car Help! ; Stolen Church Check? ; Sick Dog Payback; When Ex-Fiancees Fight! A man sues a single mother for repayment of a loan; a woman accuses her landlord of stealing a check; former friends fight over a veterinary bill and a new dog; a woman sues her ex for repayment of a loan. Drunk Batting Practice?! ; Overheated Housewarming! A woman angry with her child's father is accused of damaging her own vehicle with a bat; a woman claims her disabled father bought housewarming gifts for her to make up for his past. Beaten With a Child's Toy? ; It's Raining Cockroaches! A man accuses his neighbor of beating him with a toy because, she thought he intimidated her toddler; women have video to prove that the room they were about to rent was covered in cockroaches. Lhasa Apso vs. Pit Bulls! ; Old Mercedes, New Boyfriend, Bad Blood! Two pit bulls' owners blame a small dog for digging the hole their dogs used to get into its yard and attack it; unwed parents, a new boyfriend and a grandmother feud over a repossessed car. Don't Play With Fire! ; Gross Animal Abuse? A man sues his ex-landlord for a false restraining order, lost wages and emotional distress; a pet owner accuses a kennel owner of starving and killing animals. 9 Grams of Marijuana; Where Did the Love Go? A woman sues a friend who was busted for marijuana possession, causing her car to be impounded by police; a man says his ex-lover's generous gifts turned into loans when they broke up. Girls Basketball Team Turmoil; $25,000 Bingo Winner Bash! A woman regrets co-signing on an apartment lease for her teen daughter and friends; a former friend of 50 years sues a jackpot winner for assault and the cost to replace her personal belongings. Bouncy House Hijinks; Evict Me? Evict Me Not! ; Facebook Misstep! A woman sues her cousin's husband for the value of a bounce house he failed to return; a man accuses two roommates he found online of evicting him illegally and keeping his rent; a man denies owing his ex's brother for a large loan to save his home. Save Me Mom! ; Pit Bull Terror! A young man brings his mom to court when he goes up against the man who repossessed his car; a pit bull rips the skin off a smaller dog, causing it to need more than 100 stitches. Jeep Bashing Payback?! ; Small Town Lawnmower Amnesia? A woman admits to vandalizing a friend's jeep; a man denies hitting a former friend's vehicle with a lawn mower. Bullying Comes to Blows! Family members of a bullied teen take the law into their own hands. Dachshund Drama! ; $5,000 Temper Tantrum?! A woman sues the owner of dogs who attacked her miniature dachshund; a mother says her adult son had a temper tantrum and caused extensive damage to her property after she told him to move out. Sober Living Assault? ; Salon Burglary Blowout A woman accuses a former employee and his fiance for assault and theft; a stylist sues her salon's owner for the value of property lost in a robbery. Knife to the Throat?! A man sues his former roommate for false arrest. Revenge Couple; Aquarium Canopy 101 Eight restraining orders, an alleged assault and a missing engagement ring come into play when ex-lovers aren’t quite finished witheach other yet. Judge Judy shares a story about her upbringing in an effort to settle a silly dispute between ex-lovers. Pit Bull Pinata?! ; Mom Ruined My Credit! ; Diamond Bracelet Breakdown! A woman sues her 21-year-old neighbor for vet bills and punitive damages. Daughter sues mother for an unpaid cable bill and ruining her credit. A woman sues her former roommate for stealing and pawning her tennis bracelet. Robbed by an Ex-Lover? ; Day Laborer Shadiness? ; Too Drunk to Remember! A woman accuses her ex when a lawn mower and a check go missing; a day laborer sues his former employer for unpaid wages; a man accused of vandalizing a car at a party says he drank too much to remember any details. Punched Over a Parking Spot! ; Relationship Hell! An elderly man says his tooth was knocked out during an argument over a parking space; an ex-lover accuses a mother of six of false arrest and destroying his property, which she says is still in her front yard. Face Scratcher/Elbow Basher! ; Child Guardianship Bitterness? Second-hand smoke, Obama-bashing and a phone thrown out a car window come into play; a man sues his child's mother for repayment of a loan. Harrowing Dog Chase Caught on Tape! ; Rear-Ended Insurance Slam! Parents of a 7-year-old girl sue their neighbor over two vicious dog-attacks; an uninsured driver denies being responsible for damages after rear-ending another vehicle at an intersection. Botched Eyelash Extensions? ; Good Christian Deed Gone Wrong! A customer sues an unlicensed beautician for damages; a formerly homeless couple say their friend gave them thousands of dollars as a gift. Death Divides a Family; Odometer Scam? A father sues his son for damaging property; a seller accused of rolling back a car's odometer says he has no idea where the missing 25,000 miles went. Children Witness Parents' Bloody Brawl! ; Three's a Spring Break Crowd! Perceived disrespect by a Little League coach leads to a vicious fight on the playing field; a badly planned spring-break trip ends in a shoving match when a man comes between former girlfriends. Physical Abuse of the Handicapped? ; Sick Puppy 101 Staff of a care facility for disabled people take polygraph tests when a brutal assault comes to light; a new pet owner accuses a breeder of selling her a puppy with parvovirus. Revenge Couple; Aquarium Canopy 101 Ex-lovers feud over eight restraining orders, accusations of assault and a missing engagement ring; Judge Judy tells a story about her upbringing in an effort to settle a silly dispute. Pit Bull Pinata?! ; Mom Ruined My Credit! ; Diamond Bracelet Breakdown! A pit bull who attacked a smaller dog gets beaten with a stick; a woman says her mother ruined her credit by opening a cable account in her name without her permission; a woman blames her roommate when her heirloom bracelet goes missing. Teenager Fights Back! ; 40-Year Friendship Fail A teen says his uncle took back the truck he bought from him; an old friend says he just wants his money back. Crying Over $1,000 of Spilt Milk! ; Blue Book Gotcha! ; 25th Wedding Anniversary Hack! A computer gets soaked in milk; a mechanic's numbers do not add up; a couple say someone hacked their bank accounts. Animal Cruelty or Nightmare Tenant? ; Favors Forgotten A false restraining order, harassment, animal cruelty and stolen items; the value of a car, lost wages and the return of property. Fatal Attraction Payout? ; Pretty in Pit Bull Pink A young widow wants payback for more than $10,000 she lent to her new boyfriend from her husband's life-insurance payout; a woman denies ownership of a pit bull involved in a vicious attack on another dog. The Smoking Good Samaritan! ; Hail Damage Fallout A man on a cigarette break witnesses a hit-and-run; a woman whose vehicle was damaged by hail sues her mechanic for a botched paint job. Horse Heartbreak; Entrepreneur or Sugar Daddy? A horse's owners take him back, saying a family did not care for him properly; a man wants repayment of $5,000 he says he lent a friend to start a business. Stealing From an Ailing Grandmother? ; Cyclist Slam Shocker Caught on Tape! Teens accused of stealing from their grandmother point the finger at another family member; bus-camera footage captures a brutal collision between a car and a cyclist, revealing who is at fault. Poker Party Robbery?! ; Rotten Roommate? A disgruntled poker player denies breaking into the host's home and stealing property, despite incriminating evidence; a man accuses his former roommate of stealing wine and bedding and disrespecting the household. Genius Jealousy Detective! A woman uses her sleeping boyfriend's thumbprint to open his phone and catch him cheating. Jealousy-Fueled Car Wash Vandalism! ; Ex-Fiancee Gone Wild A jealous ex-boyfriend admits to vandalizing a car; a man accuses his ex-fiancee of damaging his car and motorcycle after learning he spent all night at another woman's house. Shih Tzu Saved From Euthanization! ; Stiff Back, Stiffed Doctor An animal rescue worker says a little dog's foster mother threatened to have him euthanized; a man who won a car-accident settlement resists paying his chiropractor because his back still hurts. Good Son or Greedy Son? ; Uninsured U-Turn Upset! A man says his mother promised to give him her house in exchange for help with bills and saving it from foreclosure; a man admits to having no insurance on the van with which he crashed into another vehicle. Oldest Scam on the Internet! ; Pure-Bred Rottweiler Anguish! The judge is in disbelief as she hears a young woman's story of falling for an Internet scam; a woman whose son was allergic to their puppy sues the animal's new owner for the unpaid balance on the pet. Dessert-in-a-Cup Hustle? ; Major Dry Cleaner Snafu! A couple invests thousands of dollars in a business idea only to sue their partners for the return of money lent; a dry cleaner says a customer harassed him for giving a comforter to the wrong customer. Prison, Pride and Vulgar Texts! ; 30-Year Friendship Busted An ugly breakup leaves a woman and her ex-con baby-daddy fighting over a vehicle; longtime friends air dirty laundry in their feud over property destruction. Gay Stepfather's Inheritance; Salon Chair Slander! A fight with a former stepdaughter over a single missed car payment gets ugly; a salon owner is sued for damages. Felony Evasion Bailout! ; Engagement Ring Payback A man regrets bailing out his daughter's car-thief boyfriend; a man gets his girlfriend's mother to buy their engagement ring for him, then the relationship goes south. Felony Theft Plea Deal; Engagement Ring of Deceit; With Friends Like These ... A felon's cousin regrets bailing him out; an ex-fiancee admits to pawning the engagement ring; a former friend gives no explanation for her rude behavior regarding a loan. Judge Judy Minnesota Beatdown! ; Chest of Harassment; Restrain Me Not! The judge gives a group of unruly young guys a lesson in judicial etiquette; a woman sues for the return of her cedar chest; a former tenant sues for repayment of rent, a security deposit and a false restraining order. House Guests Turned Nightmare Tenants! ; Lame Excuse Gets Lamer A good Samaritan has to call the police to get her guests to leave, then the guests sue her for loss of business; a tenant thinks her inability to pay her rent means she does not have to pay it. Pomeranian Mauling! ; Jack Russell Rivalry! Owners say four dogs were involved in a vicious encounter; a woman accuses her father's ex-girlfriend of breaking into her home and stealing her dog. Ladies' Kickball League Drama! ; Squatters Judgment Day? A kickball league manager is accused of misappropriating dues; when a couple learn that their apartment is not a legal sublet, they stop paying rent but continue to live there. Torn Between Two Fathers; Waste Not, Want Not! A teen and her dad sue her stepfather for the return of a down payment on a car; a tenant denies owing her landlord for waste-management services and a loan. Mother Sues Son! ; Classic Truck Arson Target? ; Cavalier King Charles Eye Attack! A young man's mother sues him for apartment-repair costs, rent and car repairs; a sister-in-law sues after fire destroys her truck; former neighbors dispute whether a dogfight happened. The Brady Bunch Gone Bad; Divorcees' Tuition Fight; Felony Misdemeanor Bailout A blended family fights over bills, childcare and damaged property; divorced parents feud over their daughter's college tuition and an apartment lease; a family sue their former attorney for the return of his retainer fee. Message to the World! ; Goats Scream Bloody Murder! ; A Family Affair Finance fraud and insurance scams; a woman says her neighbor's pit bull killed her two goats and injured her; a blended family fights over vehicle damage and costly repairs. Family Battle Over Father's Death Siblings fight over their father's funeral costs after his insurance does not pay out as expected. Mom No More! ; Tiny Recording Studio Burglary? A woman says her adult daughter trashed her home; expensive recording equipment goes missing, and a landlord and property manager are sued for damages. Grandmother Custody Clean-Up! ; Boat Thief Meets White-Out Fairy? A woman and her three grandchildren are accused of leaving a huge mess on their way out of a rental home; a woman says her former friend stole the boat they bought together. Vasectomy Victim? ; Sentimental Jewelry Heist?! A woman demands payback for surgery her ex-son-in-law-to-be says she insisted he have so that she could have grandchildren; a woman sues her former friend for the return of missing jewelry. DUI Police Scuffle! ; Pit Bulls Attack Beagle! ; Best Friend or Worst Thief? Parents sue their disabled son for totaling their car while driving drunk; a woman demands that her neighbor pay veterinary bills after four pit bulls attack her small dog; a woman says she was kicked out of her own home. Horse Trade Gone Bad! ; Car Dealer Gets Bad Hand? A woman says her ex-friend took back the horse he promised her; a car dealer sues a man and his mother for the balance on cars he sold to each of them. A Lesson in Lending; Head-Splitting Breakup! A young defendant tells an unbelievable story about how his sister "offered" to help pay for his girlfriend's boat; an ex-lover accuses a disabled woman of false arrest for assault. Drunk Sister Totals Car? ; Pit Bull Picks Unfair Fight A woman accuses her unlicensed sister of totaling her car; a pit bull is accused of breaking a little dog's leg. $10,000 Back Child Support Blues! ; Brick to the Head?! A relative sues an ex-con for repayment of a loan to pay child support to his three baby-mamas; a man denies hitting his sister in the head with a rock, explaining that he was aiming at his mother. Child Left in a Runaway Car? ; Beer and Bones Over the Balcony! A teacher denies leaving her child in her car, which somehow crashed into a co-worker's vehicle; a landlady accuses a tenant of throwing trash from her balcony. Yoga Promo Gone Bad! ; Broken Tooth Tiff; Happy Dog Reunion! A woman says a yoga studio owner she met in line at a restaurant gave her $2,000 for used gym equipment; a woman wants her boyfriend to repay her for a loan for dental work; a dog's new owners want to return him after learning he will need surgery. The Tattoo Artist's Apprentice; Casanova Dodges Payback? A tattoo artist resists returning an apprenticeship fee, saying the apprentice was a slacker; a man accused of having a secret girlfriend is sued by his ex for repayment of a loan. When Ex-Girlfriends Fight! ; Burning Down the Condo! A woman says she had to bathe at a restaurant and sleep in a car after her ex locked her out; a landlady blames her tenant for a fire in his condo, but he passes the buck on to his friend, who was smoking a cigar. Shocking Family Beatdown! Life Insurance Loser? Video evidence reveals a brutal assault on a man who chided a driver for parking illegally; a man learns that he must pay off his late father's life insurance premiums before collecting on the policy. Phantom Boyfriend in Malaysia? ; Car Fiasco! A man lends his co-worker $3,000 to help her boyfriend, who goes missing, with the money, soon after; a car bought online gets repossessed. Teen Accused of Scamming the Sick! ; Martial Arts Fight Fraud? A seriously ill man says his teen employee stole money from him; a ticket seller accuses a man of giving her a fraudulent check. The Engagement Ring Collector? ; Hoarder or Heavy Drinker? Unwed parents feud over accusations of domestic violence and an engagement ring used as bail collateral; a video reveals a different side to an injured tenant's story. Blood, Booze and Birthdays; Emergency Brake Bash! A woman sues her friends for damaging her apartment after a drunken night out for her birthday; a woman blames her boyfriend, with whom she was on the phone when she crashed her car. Dog Poisoning?! ; Mom Not a Fan of My Wife! A tenant accuses his landlord of poisoning his dogs; a mother-in-law demands repayment of money lent for a divorce attorney when her son reunites with his wife. Truck Surrender?! ; Bad Luck Police Bump! A young man buys a friend's truck for $200, but once it is in running condition, his friend wants him to pay the value of the vehicle; a woman sues her son for damages after he has a crash while driving her car. Home Invasion or Rent Evasion? A tenant accuses a landlord of breaking into her room and stealing her possessions; he says she left and skipped out on the rent. Catfight Over a Jailbird! ; Uber Boyfriend Dispute Two older women fight over an incarcerated man; a man sues his ex-boyfriend for repayment of a loan, but the ex calls it a joint investment. Boys on the Hood! ; Childcare Miscalculation A young woman whose boyfriend jumped on top of her grandmother's car wants payback for damages; a woman sues her ex-friend for payment for childcare services. Obsessed Stalker? ; Six-Car Sideswipe! After an online acquaintance spends thousands of dollars on a woman in a matter of days, she sues him for harassment; a motorist says a mysterious white car hit his head-on and caused him to back into six vehicles. Hockey Violence Victim; Float My Houseboat! Fathers fight over liability after one child causes another's concussion; a man who sold a boat tries to explain the many reasons the title was not in his name. Attitude Ingratitude! ; Muslim Good Samaritan? Judge Judy lays down the law when a defendant cops an attitude; a woman says she rescued another woman from a bad relationship, then kicked her out after finding drugs in her room. Money for Nothing! ; Mystery Shopper Injustice? ; Payday Intercepted! When a car turns out to be a lemon, the seller keeps the buyer's family's money; a friend wants repayment for a bad check; a man sues his friend's estranged wife for stealing his insurance check. Bash or Crash? A man says his irate neighbor hit him with her vehicle; she says he jumped on her car and owes her for damages. Grieving Siblings Demand Justice! ; Repossession Romance Fail Siblings accuse their late sister's neighbor of selling her belongings; a woman sues her ex for repayment of a loan, which he says was a gift. Single Mom ... Married Boyfriend! ; Cheating on Facebook? A single mother says she lent thousands of dollars to a man who says they were never intimate; a woman's cheating boyfriend accuses her of stealing his property. Twin Girls Repoed Ride! ; Mangled Motorcycle Mix-Up! ; Ex-Fiance Crash! A man co-signs a loan for his grandchildren's father, and his favor is returned with nonpayment and a repo; a friend totals an imprisoned man's motorcycle and is seriously injured; a woman sues her ex-fiance for crashing her car and injuring her. Beloved Car Trashed by Ex! ; Tire Kicking or Car Whipping? Ending a rocky relationship, a woman is accused of throwing things at her ex's vehicle; a man denies vandalizing a co-worker's car. Ungrateful Aunt's Trailer Trash? ; Lesbian Love Gone Wrong After her niece lets her live in her home rent-free for many years, an aunt sues her for destroying an old mobile home; a woman demands the return of an engagement ring, but her ex says it was a gift. Drunk Driving Disaster! ; Framed for Hit and Run? ; The Movie Made Me Do It! Video evidence shows a drunken driver slamming into a parked car; a partygoer accused of a hit and run points his finger at his friend; a man's obsession with a movie is said to be the source of a family battle over a large, overdue cable bill. Off-Road Collision! ; Playing House No More! An SUV owner sues after a teen on a dirt bike collides with the SUV on a blind curve; a mother of five battles with her ex over utility bills and the balance on a car she says he wrecked. Slumlord or Mooching Mama? ; Good Riddance to Bad Memories, Y'all! A landlord accuses a single mother of vandalizing and stealing property after he evicted her; ex-lovers feud over payday loans and personal belongings. Christian Mingling Scam? ; Jewelry Heist? A woman says a man she met on a dating website scammed her out of $4,000; a jewelry designer says valuable pieces went missing when she was selling it on consignment. Breathalyzer Scam? ; Car Keying Caught on Tape! A woman denies trying to buy and drive a car without her legally mandated device for estimating blood alcohol content installed; a woman is accused of resorting to vandalism to get payback for a loan. Give Me Back My Daughter! ; $100,000 Settlement Woes! A woman accuses her boyfriend of taking her money to pay for legal fees to get custody of his 7-year-old child; a man sues his son for repayment of personal loans. Cyclist Slam Whodunit! ; Deactivated Tundra Tirade Drivers of a luxury car and a bicycle blame each other for a crash; a woman resists repaying her cousin for a loan to save her vehicle from being repossessed. Stalking and Destruction? ; Baltimore Brother Drug Bust! Ex-lovers feud over accusations of stalking, abandonment and destruction of property after, he says, she left him in his underwear at a casino; a man sues his repeat-offender brother for bail money and attorney fees. Fender Bender Con Artist? ; Dueling Divorcee Hard Drives A motorist says the woman whose car she hit is running a scam; a mother sues her ex for the value of a laptop she says he took from their son and gave to his stepdaughter. Arrested for Stealing Your Own Van?! ; Assault Joke? A woman fails to tell her ex-friend that she is repossessing her van; former roommates say the police laughed at the assault charges made against them. 10,000 Reasons Not to Open a Restaurant; Rafting Trip Turned Drug Bust! ; Extortion, Theft and Threats? Investors in a restaurant venture learn the kitchen has been shut down; police find contraband on a car's passenger; unpaid loans, harassment and a false police report. Scary Bolt-Cutter Harassment?! A woman says she was afraid for her life when her ex tried to break into her home; he says it is his home and he was evicting her. Lying to Police? ; The Silent Killer! ; Women, Weed and Weather! A woman sues her former friend for stolen property; a tenant says she was poisoned by carbon monoxide and her former landlord sexually harassed her; an ex-roommate sues a man for unpaid rent. Fight After Father's Death; Ex-Lover Road Rage? Stepbrothers feud over diamond earrings, a pinball machine and a teen's retainer; ex-lovers crash into each other's vehicles while fighting on the phone. Shelter From Slapping? ; Hysterical Storage Mess! A woman says she took refuge in a shelter after her landlord slapped her in the face; former friends argue over a loan for storage fees. Friendship in Flames! ; Relationship Money Drain A vehicle is damaged in an auto-shop fire; a woman is upset to find that her lover drained her bank card while she was in the hospital. Abandoned or Beloved Property? ; Title Thief? A landlord says a large family left behind a bullet-ridden TV and a big mess when they moved out; former stepbrothers fight over the unpaid balance on a truck. Stalking Ex-Lover? ; Car Meets Brick Wall! A woman obtains an order of protection against her ex, saying he tore down her fence; a woman sues her former friend for driving her car without her permission and totaling it, but he says the car was faulty and spun out of control. Assault Charge Bailout! ; Take My Dog Off the Kill List! ; Traveling Basketball Team Blues A man denies owing his lover any money after she bails him out of jail using her truck as collateral; the beloved dog a woman gave up for adoption is on the kill list at a local shelter; a travel agent wants payment for airline tickets. Toddler Brunch Battle! ; Teenager Crash! Angry at his girlfriend's parents for not taking his child out to eat, a man denies owing them for bailing him out of jail; an uninsured motorist blames a teen driver for their crash. Foster Parents' Dreams Bashed?! ; Fight Night! A couple accuse their landlord of robbing them of their dream to be foster parents; after a fight between a tenant and a landlord, roommates must battle over car damage, missing property and unpaid wages. Unbearable Living Conditions?! ; Merging Motorist Mayhem! A fed-up tenant goes after her landlord; a motorist says he had no option but to sideswipe another vehicle merging onto a freeway. Breast Implant Payback! ; Flooding With a Purpose? A man sues his ex for repayment of a loan to have breast augmentation surgery; a landlord accuses a family of intentionally vandalizing a pipe and creating a flood. Brothers' Eviction Blues; Landlord Harassment? Brothers fight with former roommates over property damages; a landlady says tenants' relative harassed and threatened her. Bosnia & Bedbugs?! ; BMW Bang-Up! ; Criminal Mischief Payback! A landlady accuses a former tenant of assault and animal cruelty; a woman sues her former friend for drinking, driving and crashing her BMW; a grandmother pays restitution for her son's friend. Title Jumping Jam?! ; Help Me Find My Children! ; Drunk or Asleep During Crash?! The sale of a car goes south; a man's ex-lover sues him for payback for legal bills after he gains partial custody of his children; an unlicensed driver and a sleeping mother are involved in a car wreck. Mother and Son No More; Unwed Parents' Knife Fight?! ; Jealous Rage Rock-Throwing! A woman sues her estranged son for repayment of loans; a man blames his ex-girlfriend for a fight in which he tore up the inside of her car with a knife and threw her phone out the window; a woman is sued for breaking windows with rocks. Never Do Business With Family! ; $100,000 Profit and a Paint Job A woman regrets selling her car to a cousin but neglecting to take it out of her name; a man sues his ex for unpaid rent and damage to a home. Handyman on Holiday? ; Three's a Crowd! ; You Got the Wrong Guy! A woman sues a handyman for making unauthorized charges on her credit card; former friends feud over a TV, a plane ticket and cruise expenses; a salesman sues his ex for medical bills resulting from an accident. Break Dad's Rules? Lose Your Car! ; Mercedes Swap Gone Bad! ; Who Scammed Who? A rebellious teen sues her dad for repossessing a car he helped her to buy; ex-lovers regret swapping luxury vehicles; after two men decide to swap cars, one car blows up. The Magic of Loans! ; Boyfriend's Birthday Bounty; Roommate Car Keying? Exes fight over a loan to rescue an impounded vehicle; a woman borrows money to buy her boyfriend an expensive gift and is accused of failing to repay it; a man accuses his landlord of keying his car. Battle Over the American Flag! ; Stolen Vehicle for Sale?! When a man hangs the American flag upside down to make a statement, vandals destroy the flagpole; a mother is accused of selling a stolen vehicle. Honeymoon That Never Happened! ; Senior Sibling Stealing? A couple who were formerly engaged fight over a cruise, a new camera and car repairs after their wedding is called off; a woman sues her 61-year-old brother for stealing her belongings and pawning them to pay rent. Fight Over Flooding! ; Police Roommate Skirmish A 12-year-old boy accused of flooding his home insists it was an accident; police are called due to a tumultuous relationship that gets out of hand. Child Support Roofing Ruckus! ; Bad News Gym Partners A woman who tried to get child support for her grandchildren by getting their father a job claims she ended up with a botched roof; a man accuses his former tenant of damaging his rental home by painting graffiti on it. Emergency Surgery Fallout; Cockroaches and Drug Trafficking?! Rescued Dog Kills Cat! ; Grow Up and Pay Up! Salvaged Car; Failed Friendship! ; Sister Drives Into Tree? Trouble Money! ; Waterfront Property Nightmare; $5,000 Friend or Foe? Love Is Legally Blind! ; Intervention or Bullying? Hoarding or Hating? ; Eight Children Lockout! Coveted Corvette; Deer in the Headlights! Party Pony Abuse?! ; Twitter Friend Payback! Lockout Lowdown; Aunt vs. Niece vs. Meth Possession?! Postman vs. Large Dog! ; World's Worst Boat Shoppers? Ex-Friend Without Benefits! ; Loan Me, Loan Me Not! Drama Mama Standoff! ; Give Back the Engagement Ring! Show Me the Property Damage! ; Take Care of Me! Child Attacked by Dog; Marital Property Payback; Loan vs. Investment 101 A dog's owner says an unsupervised 5-year-old was trespassing when he got bitten; suing her ex-daughter-in-law for repayment for a car, a woman must prove that her son did not use the vehicle; former friends fight over $1,000 used to save a business. Vicious Dog or Super Scammer? ; Prison Payback A man says his neighbor's dog knocked him down; a woman sues her ex for a loan for attorney fees while he was in prison. Cell Phone Wars! ; Landlord Break-In?! Suicide Attempt Turned Neighborhood Feud! Thwarted Thief Pulls a Knife?! ; Expecting Mom Expects Payback! Dog Run Over By Car! ; Sister Swindled By Brother? Bogus Smog Check?! ; Drunk Driving Finger Pointing! Live Free or Die! ; Motorcycle Gift of Gratitude?! Gambling and Drug Trouble! ; Landlord Lament!